The Comcast - Time Warner Cable mega-merger is dead! 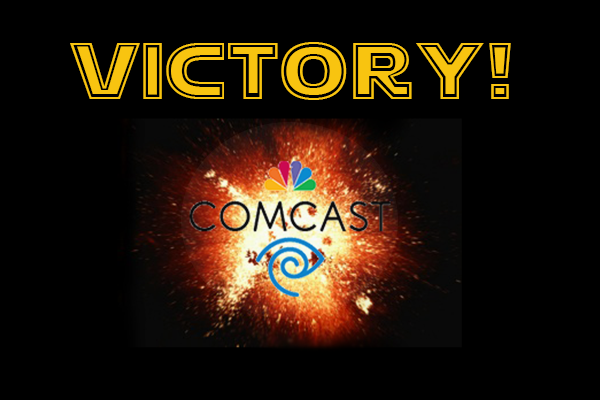 Thanks to overwhelming opposition to the Comcast - Time Warner Cable merger, on April 24, 2015, the deal was officially killed. It is worth noting that Howard Media Group provided comments to the FCC on this issue. HMG took the position that this merger "poses a threat to freedom of speech by imposing financial barriers to disadvantaged with needs to connect for vital education and communication services." For more information on the victory, check out the link below.